Looking for a way to beat the summer heat, while have a great time, in a fun atmosphere, with friends new or old? Then you’ll want to check out the best casinos in OKC. You might just hit the jackpot with one of these great Aces up the sleeve! Step inside Riverwind Casino and experience the time of your life. With multiple games to play, the opportunities to win are endless. Table games, Roulette, Off-Track Betting, Mega Frenzy Bingo, Electronic Games and more await you at Riverwind. Add in the two stages, the Showplace Theatre and River Lounge, and your entertainment is not only comfortable but full of energy and great performers. Riverwind is also home to three different dining venues. The Willows Buffet is a classic casino staple. Chips ‘N Ale offers deliciously battered fish and chips. And Seasons Food Court offers a little something for everyone from Burger King to Taco Bueno. With great dining options, your taste buds will hit the jackpot too! Get our free ebook guide to the best things to do in Norman and OKC. The best activities, restaurants, museums, events, views, and much more! Click here to request the guide. Salt Creek is the newest casino in Grady County and offers more than 500 electronic and table games. With Mega Monday Slam, 5k King for a Day, and even a day just for our Senior guests, there’s no doubt that you’ll find a game just for you at Salt Creek. The Brook, located in the middle of the gaming floor, offers any big game updates you want to see, all while refreshing you with drinks a-plenty. And the Fork is a great place to grab a savory, re-energizing meal, open 7 days a week. The Salt Creek gift shop has just what you’re looking for to remember the time you spent there, as well as great gifts, and even every day essentials should you find yourself missing anything while you’re on your trip. Salt Creek is just one of the great stops on the Adventure Road. Looking for a more quaint gaming stop while you travel the Adventure Road in Oklahoma? Then Washita Casino is perfect for you. With more than 250 electronic games. This is more than a gaming stop. With a fully-stocked bar to wet your whistle. And there’s also a full convenience store to make your stop more comfortable. Whether you’re a big-time gamer, a seasoned gambler, a first-timer, or just a dabbler, you won’t have to play Russian Roulette to find a perfect fit for your fun weekend using this guide. You won’t miss a trick hitting up any of these three best casinos in OKC. And let us sweeten the pot. 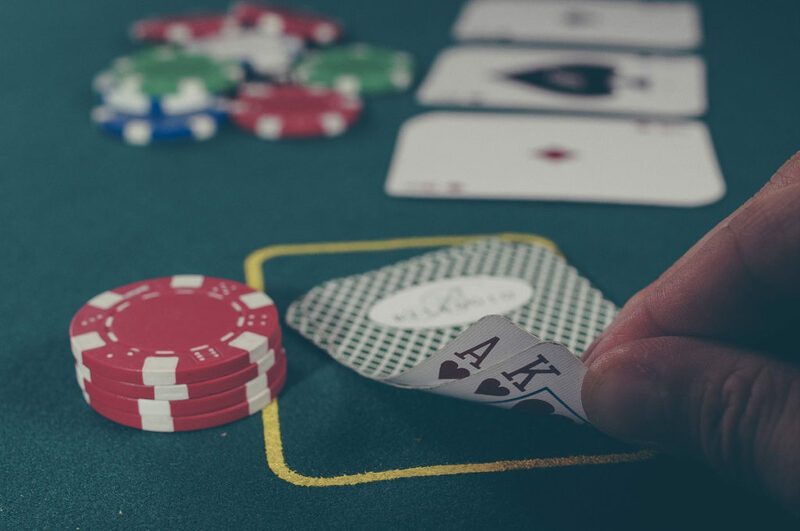 If you’re looking for a great place to stay while you’re having a fun casino trip, we’d love to have you stay at the Montford Inn and Cottages. With great rooms, private cottages, and delicious breakfast, we’ll have you fueled, and rested, and ready to head out again the next day.